A bit of a departure from the classic style of Glendronach. This bottling leans towards the old fashioned Highland style of peated malts but still relies on the distillery's signature sherry cask maturation to add some weight and depth. So, don't expect Islay-like clouds of peat smoke, this is a more balanced style with touches of dried fruit, oak and woody smoke. Aromas (without water) A delightful aroma of ripe gooseberries dusted with cinnamon sugar combines with a contrasting crisp citrus twist. The delicate peat influence gives a smouldering charred wood character filled with freshly ground barley and hints of vanilla toffee. Palate (without water) Vibrant oak spices and floral heather honey develop to rosehips and barley sugars, all warmed by a touch of white pepper. Subtle peat notes complement the palate by giving a delicate depth and dryness of glowing campfire embers. A unique marriage of crisp fruit and barley-laden Highland characteristics surrounded by gentle peat smoke, intriguingly reminiscent of heather burning in the distant glens. Types of Barrel used for Aging Both Oloroso and Pedro Ximenez Sherry casks. 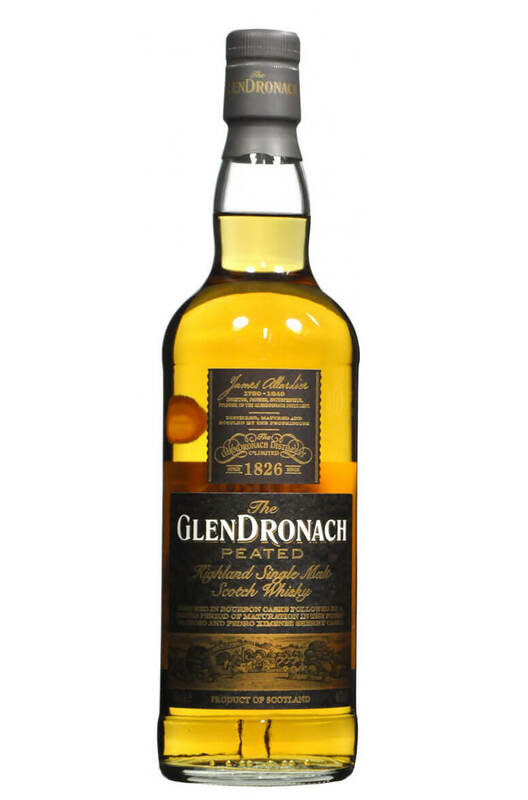 This, like most Glendronach malts relies heavily on sherry cask ageing. Still one of the best bargai..
A limited release from Glendronach, which has been peated and finished in Douro Valley Port pip..